The Asus ROG Zephyrus is simply an amazing piece of engineering and, to our mind, the best gaming laptop in the world right now. Despite being incredibly thin and light (2.2kg) it packs an insanely powerful Nvidia GeForce GTX 1080 graphics card, something made possible thanks to Nvidia's new Max-Q design tech. From that incredibly high starting point there's no drop in specs either, with a rapid Intel Core i7-7700HQ partnering up with 16GB of 2,400MHz RAM. The Zephyrus' screen isn't 4K, however, it is a wide-view 1080p number with a 120Hz refresh rate, as well as anti-glare finish. The feel of the thing in the hand is pure unadulterated premium, as too under the eyes - the GX501 truly is a remarkable piece of technology. The only down sides to the Zephyrus are its cramped keyboard and high cost. If you've got the money, though, then this is a no-brainer, best-in-class proposition. MSI has come out swinging as of late, aiming to take on the gaming laptop market by introducing the power of Coffee Lake into the equation. The result, when coupled with the powerful Nvidia GeForce GTX 1070 GPU, is a portable machine that can run even the most demanding of modern AAA titles on ultra settings with barely a graphical or technical hiccup. Throw in spacious and fast SSD storage, 16GB of RAM, and a quality Full HD, anti-glare wide-view 144Hz panel, and the package becomes even more impressive. As such, the MSI GS65 Stealth is one of the absolute best gaming laptops available today, and a great alternate choice to the Asus ROG Zephyrus. Another entry from Asus makes our top list of best gaming laptops and, once more, it is easy to see why. As you would expect, battery life isn't stellar, however the rest of this very well priced gaming laptop make it a top contender. Alienware has such pedigree in the best gaming laptop market that, unsurprisingly, its latest R3 refresh of the classic Alienware 13 is an absolute treat for gamers. Configurable with a gorgeous QHD 2,560 x 1,440 OLED screen, as well as some really tasty internal hardware (Nvidia GeForce GTX 1060 and 16GB of DDR4 RAM anyone? ), the Alienware 13 R3 delivers real gaming power in a super portable, compact-screen-size package. In addition, a new forward-hinge design allows the system to be thinner than past iterations too, with a 0.81-inch (0.22cm) chassis delivering Alienware's typically cool off-world aesthetic with aplomb. Dell’s latest gaming-focused range of laptops are an ideal option if you’re looking to invest in a machine that can handle the every tasks of life AND your PC gaming needs. Even the basic model comes with a Nvidia GeForce GTX 1060 and an impressively robust cooling system to keep that beast of a card from melting. 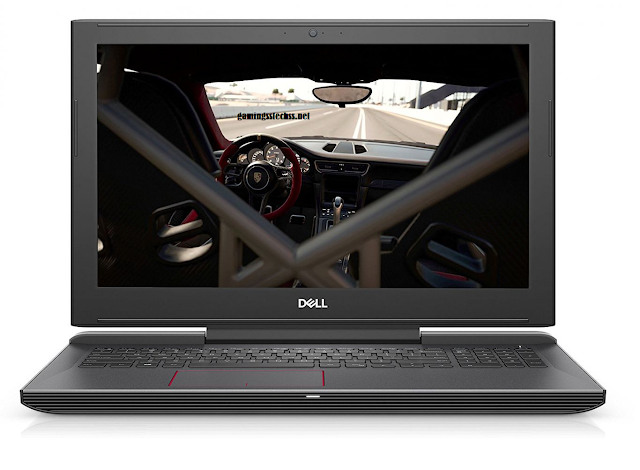 With 16GB of RAM, a 128GB solid state drive, a 15-inch Full HD screen and speakers with WavesMaxx audio you’ve got one impressive package from the people at Dell. You’ll get just over eight hours of use on a single charge, which is okay, but it can charge up to 80% in one hour so you won’t have to wait long to keep gaming on the move.